The Indian two-wheeler market has expanded its horizon in the last couple of years and thanks to social media and accessibility of affordable internet, two-wheeler buyers are well informed with changing trends and are now ready to experiment with their purchase. Scooters make up for a huge chunk of two-wheeler says but unlike their motorcycle counterparts, the most powerful options that we have in the market sport a 150cc engine only. Internationally, moto-scooters, or maxi scooters, are increasingly become popular. These look huge, are utterly comfortable and come with powerful engines, enough to propel them to speeds of over 180 km/h. While 400cc+ maxi scooters are still not practical for India, here is why the 200-300cc options make sense for the Indian two-wheeler segment. While most Indian scooters are under 1.8 m in length and not over 730 mm wide, moto-scooters are a completely different breed all together. They are over 2 m long and almost 800 mm wide. The huge front screen adds to the height and they typically weight over 150 kgs. Most moto scooters sport 14 or 15 inch wheels that gel along with the huge body work. Talking of which, inspite of being huge, most moto-scooters look beautiful and can turn more heads than an equally priced 250cc motorcycle. 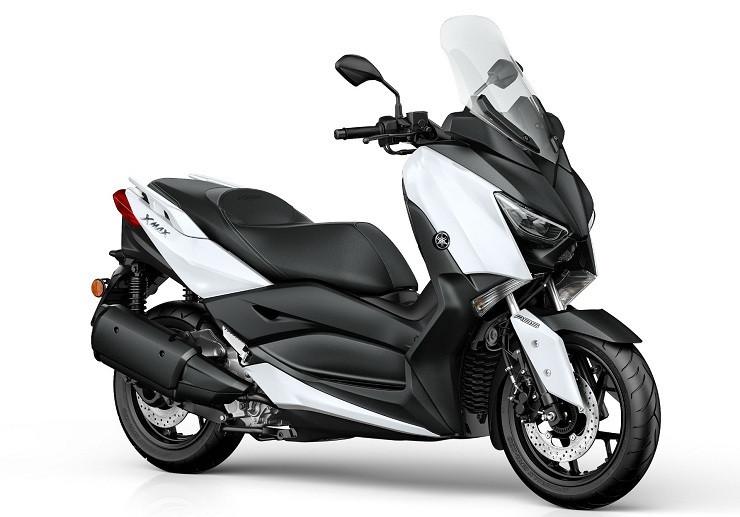 Take for instance the Yamaha XMax 300 : the raised front looks aggressive and you simply cannot ignore the twin headlamps. A show stopper for sure. Remember the Kinetic Blaze? That scooter was famous for its comfortable seat, something that none of the options can match today. Moto scooters have even better (read bigger) seats that are good enough for long hauls on the highway. Some options like the Suzuki Burgman 200 are so comfortable, they are sometimes refereed to as the ‘burger van’ with the word ‘van’ being used for comfort levels. Another aspect is the generous space on offer for the pillion as well. Two-up riding on maxi-scooters is a piece of cake. Want to do that long awaited Bangalore – Goa ride on a scooter with your better half? Yes sir, possible with these options. Most 100-150cc Indian scooters cannot fit a full sized helmet under the seat. On the other side, moto scooters can easily accommodate not one, but two full sized full face helmets. And if you do not want to use helmets, the under-seat storage space will easily swallow a back-up with enough clothing for a weekend’s ride. Futher, most big scooters come with lockable front storage spaces and mobile charger as standard. Likewise, ABS is standard and the more powerful options have traction control as well. 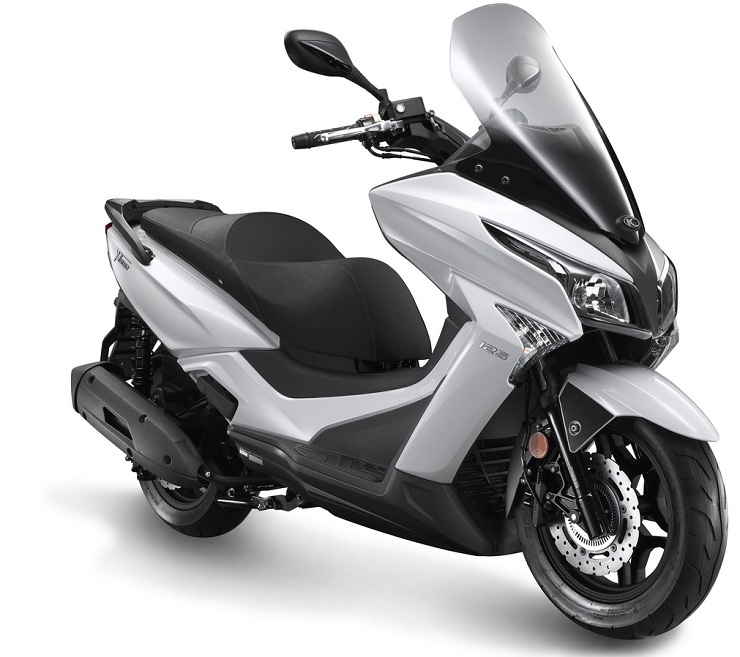 Scooters like the Kymco X-Town 300i also come with LCD display as standard along with disc brakes at both the ends. The Aprilia SR150 is currently India’s fastest scooter with a 0-60 kph timing of just under 7 seconds and a top speed of 110 kph as per the speedometer. In contrast, most 250-300cc moto scooters manage to hit 60 kph in just 3.5 seconds and go on to do in excess of 150 kph. These scooters are as quick as most 250cc motorcycles and yet offer ease of riding due to their automatic gearboxes. Just twist and ride as you do with conventional scooters. 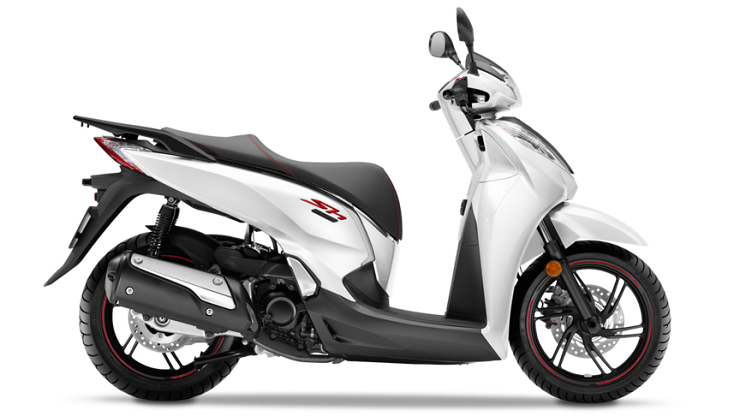 Unlike current Indian options, moto scooters come equipped with fuel injection as well for superior throttle response and better fuel economy. Inspite of all that weight and power, these offer 25-30 kpl easily. 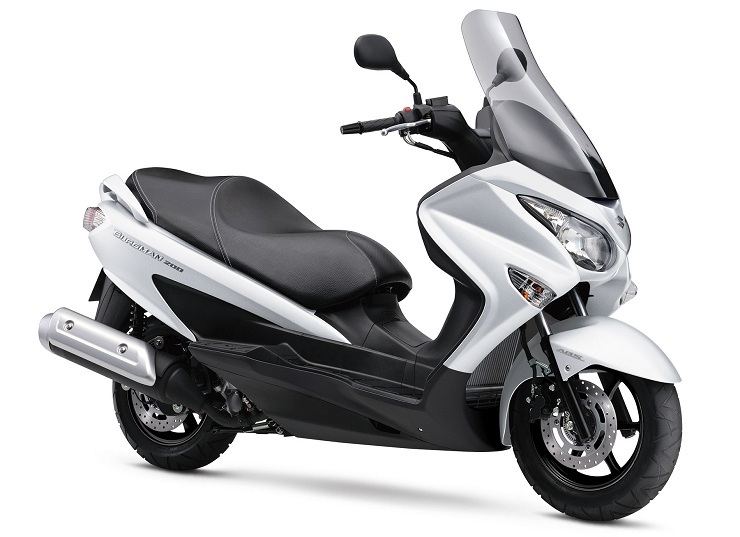 As for numbers, a typical 300cc scooter like the Honda SH300i offers 25 bhp of power and 25.5 Nm of torque. Good figures, eh? With Indian consumers now ready to shell out a lakh for scooters like the Vespa 150 Elegante, it would be safe to assume that if priced just under Rs 2 lakh, these 250-300cc maxi scooters will easily find buyers and create their own niche in the Indian market. The upcoming Auto Expo will have new 150cc showcases from TVS and Suzuki and that is a small step in the right direction. With maturing audience, the day is not far when two-wheeler manufacturers will launch locally manufactured moto-scooters. Remember, you read it first here!